snk – Life of a guy they call "JiNX"
Snk 70 is a pretty great chapter for this manga. 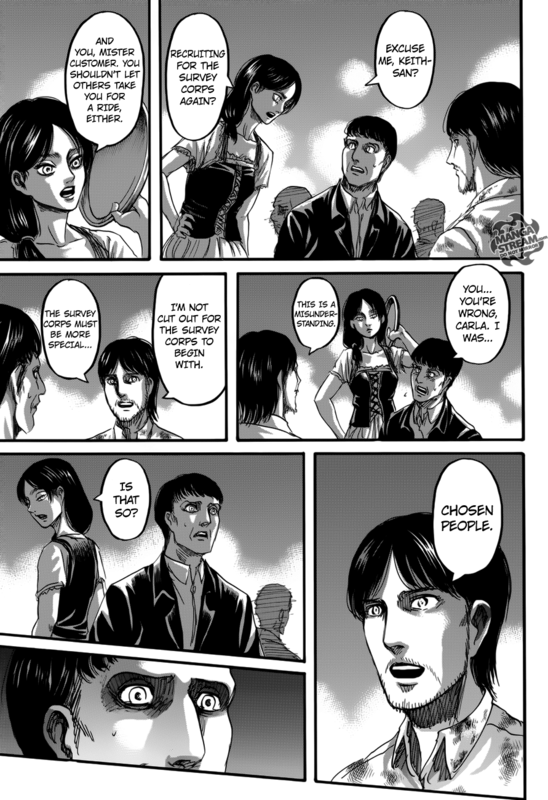 Isayama finally get the ball moving, and rolling it fast. 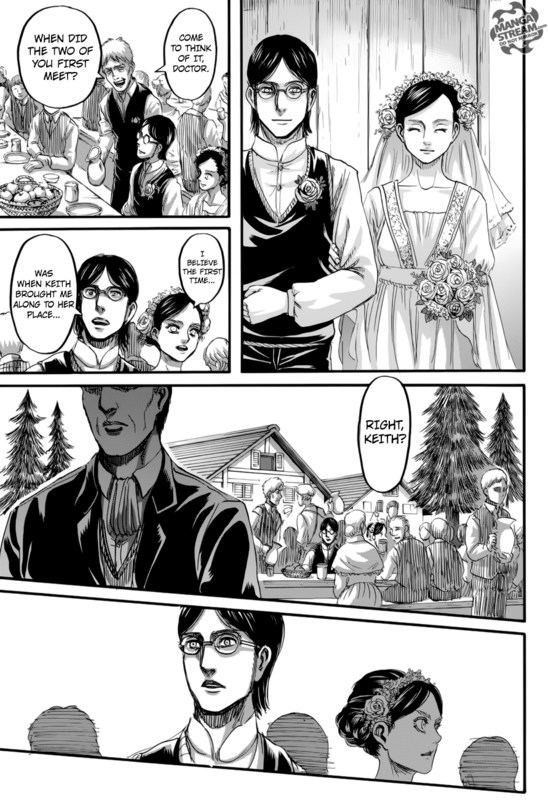 In this chapter, Historia runs an orphanage, Levi is caretaker of the serum, new technology advancements, and RB makes a return along with the beast titan. 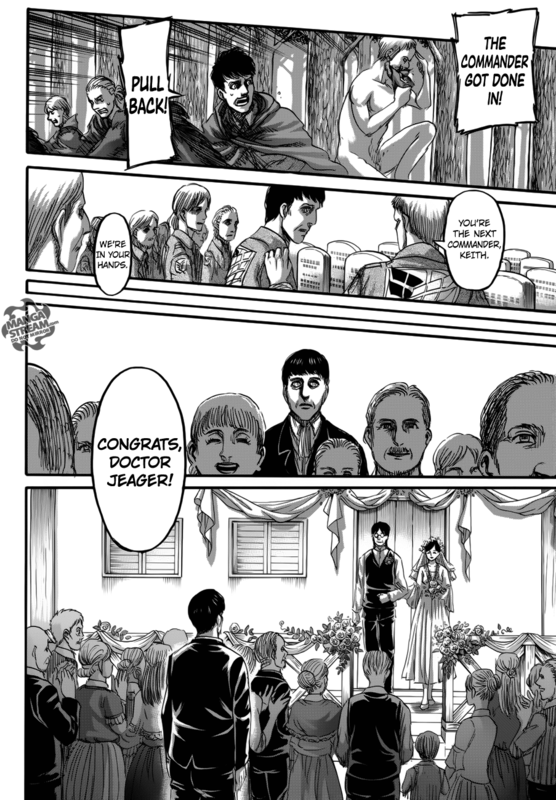 We begin the chapter with Historia running around after kids in an orphanage that she overseas. 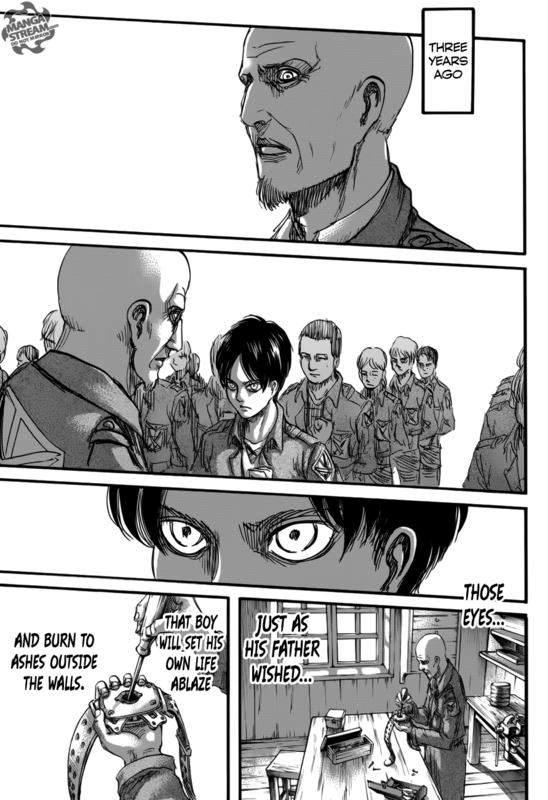 Apparently, Levi had some involement for this orphange opening. It makes sense for the new orphanage. 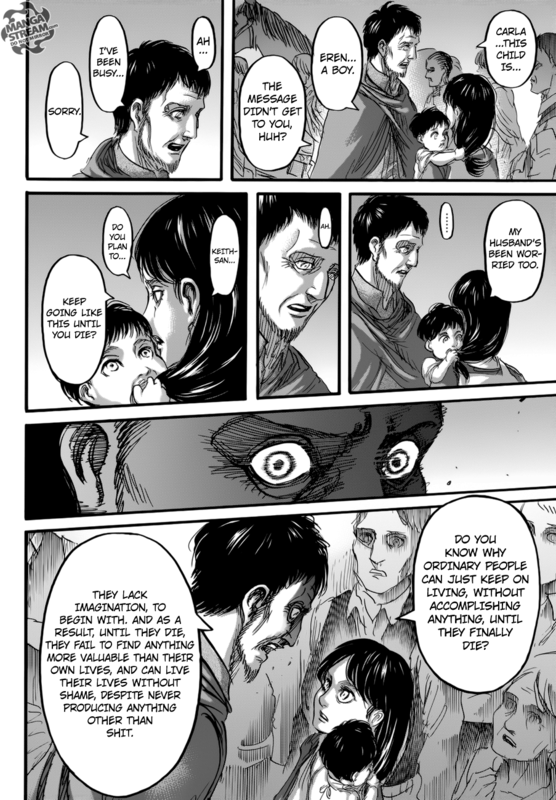 Both Historia and Levi had horrible childhoods, so it makes too much sense for them to start one. One thing I’m going to monitor closely is Levi expressions in the upcoming chapter. Levi have been trusted with the serum. One would think that Levi will use it in an emergency situation. 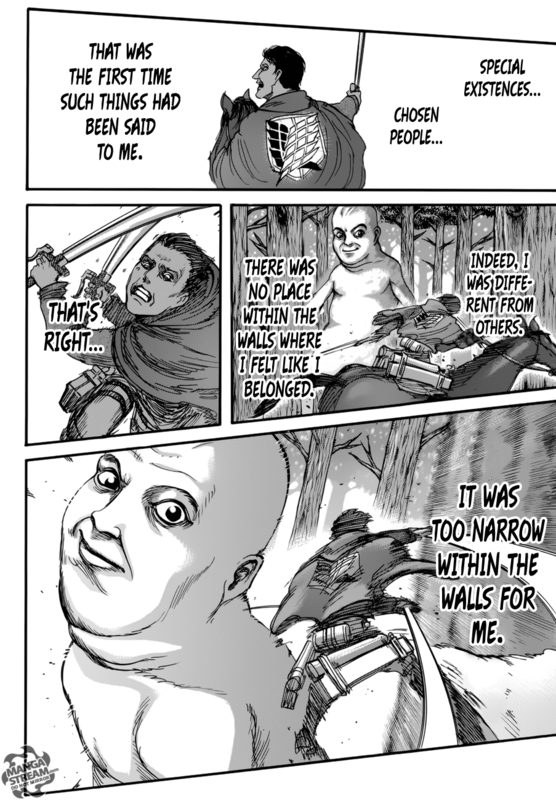 That situation could be around the corner as the RB and the beast titan is within the fallen wall and their goal is to retake the coordinate. Only the flow of that battle will dictate what he does with the serum. 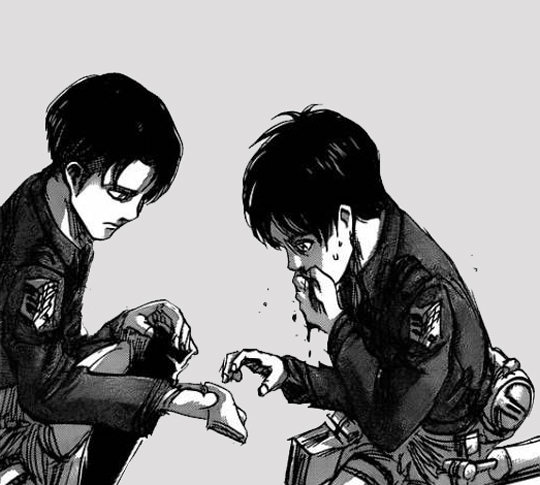 On a side note, I believe that Eren will hold his own in this battle. He’s been training hard and it was mentioned that with his harding ability he’s able to take out multiple titans at once. I have Eren winning the fight against the beast titan. A lot of people, including myself, are happy with the technology advancements, but a lot are not happy that humanity found an efficient way to kill “mindless” titans. 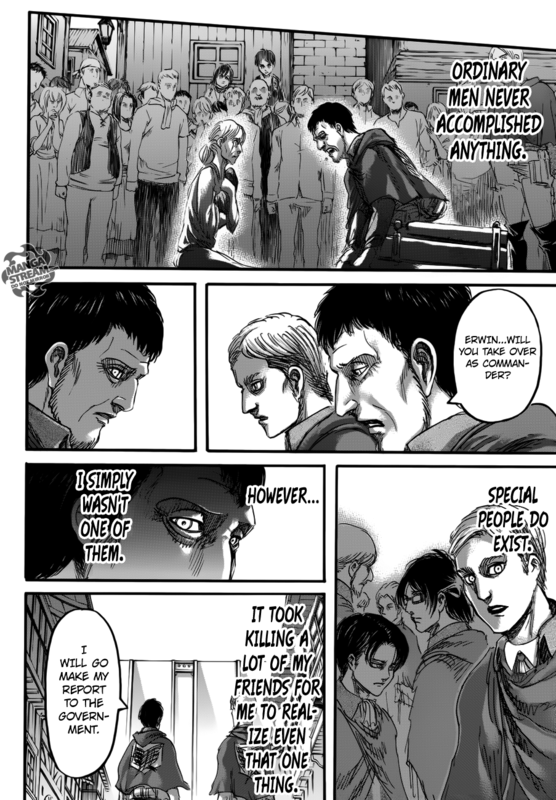 I’m pretty sure Isayama will continue to feed us the human vs titan combat that we love so very much from the beginning. RB and the beast titan are in the fallen wall, and with the goal of retaking the coordinate. There’s just one issue tho. Crunchyroll is the place for the official translation. In their translation, the beast titan tells B that he could save R later as he I’d defeated by the beast titan. 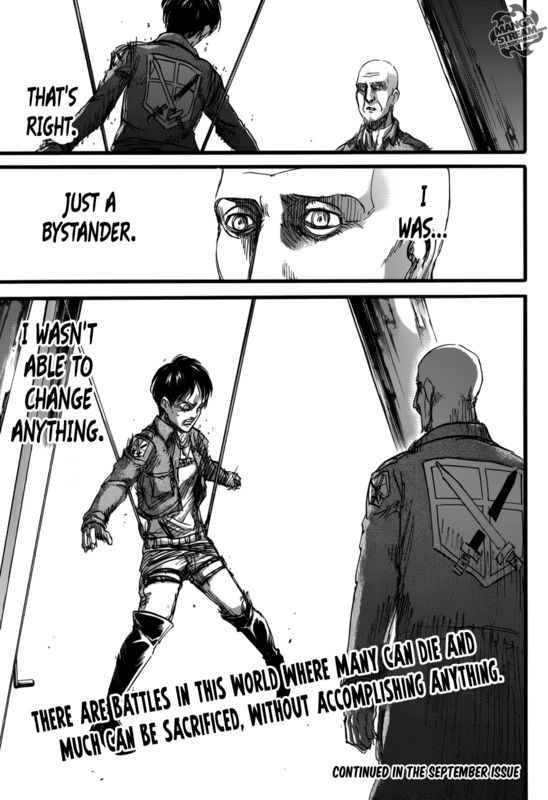 In an unofficial release mangapanda has the translation as the beast titan telling B that they would rescue Annie later. For now, I’m sticking with crunchyroll translation. At the moment, I don’t feel like these two are working fully on the same side. 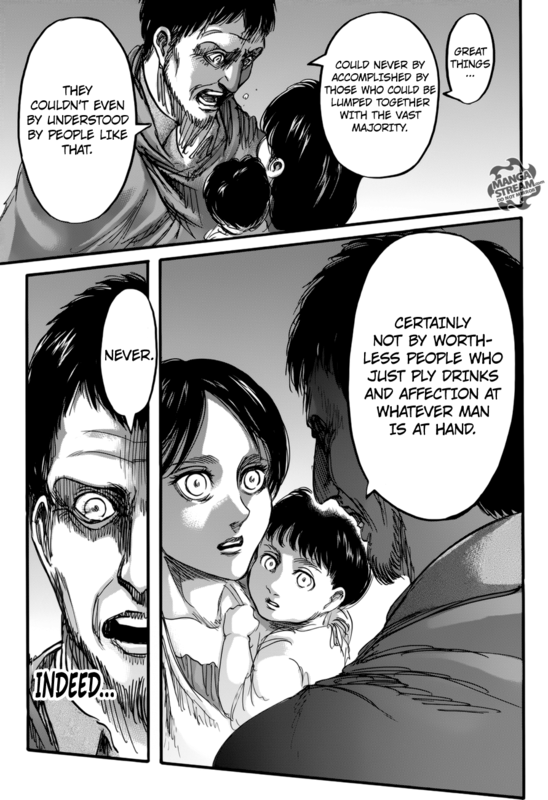 Also, I don’t believe the beast titan is Annie’s father. To me they seem like two totally different people. Overall, SNK 70 is a great chapter. I hate that we will have to wait till August to get the next chapter as it was just getting really interesting. After the 2 month time skip I don’t see Eren losing like he did previously. He seem more matured, or heavily troubled from the memories he recieved. 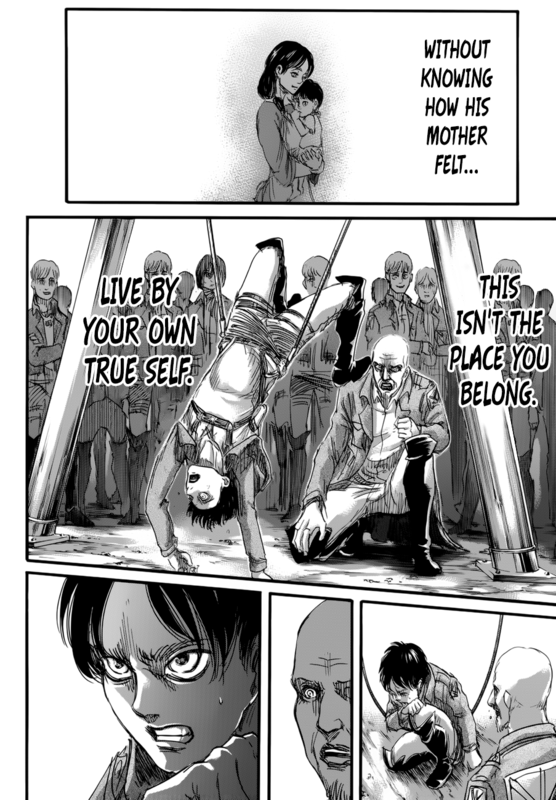 Either way, I think this Arc is going to be huge for Eren. Just hope he can stay sane.